Bill Raczyk is the Director of Process Innovation at OCC (the Options Clearing Corporation). 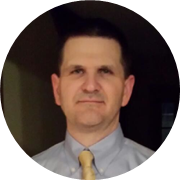 In his current role, Bill is responsible for the strategic direction of OCC’s automation platforms as well as aiding departments throughout the organization with process transformation and continuous improvement. He has previously served OCC in leadership roles of many groups, including Business Analysis, Business Controls, Regulatory Remediation, and Program Management. Check out the incredible speaker line-up to see who will be joining Bill.